The Sunapee School Board has approved a tentative budget for the 2017-2018 school year of twelve million, seventy one thousand, six hundred and thirty eight dollars. This is 2.2 percent higher than this year’s current budget. The budget increase will raise local property taxes thirty nine cents per one thousand dollars of value. Sunapee residents will have the chance to alter the budget at the annual deliberative meeting in February, and then final decision will be made in March at the polls. If the budget is rejected, the school will have to use last year’s budget numbers. 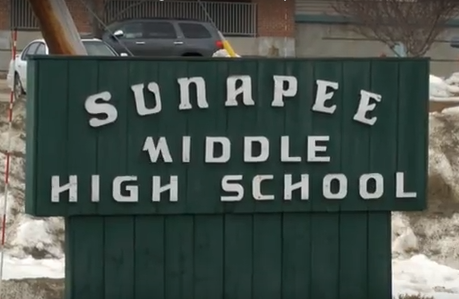 The national cost per student is around $12,000, where Sunapee’s is over $23,000. Superintendent Russell Holden said the only way to lower that cost is by cutting school programs or bring in more students to the school system. Residents at a public hearing held before last week’s school board meeting suggested looking into sharing resources with other local schools in the area to lower the costs. Town voting day is Tuesday, March 7th. The Webster Fire Department was called to 401 Little Hill Road in Webster on Sunday, January 22nd at around 245AM for a house fire. A total of nine people were home at the time. Eight individuals made it out of the home, but one occupant was found deceased inside the damaged home. The home was a complete loss and the investigation into the cause of the fire and the death of the individual remains active. Webster fire department was first to arrive on scene and found a home fully engulfed in flames. Webster Fire Chief Emmett Bean Senior quickly called for a third alarm from surrounding communities to help with manpower and water supply. The state fire marshall’s office is currently working with the Webster Fire department in the investigation and is asking anyone with information to call a local official. A quick note that on February 15th at 7pm there will be a public informational presentation regarding the proposed Warner, New Hampshire fire station given by Anthony Mento of SMP Architecture at the town hall. The New Hampshire Department of Health and Human Services, Division of Public Health Services has announced New Hampshire is experiencing an outbreak of the STD Gonorrhea. The Division of Public Health Services has received more than 460 reports of cases of gonorrhea contracted in 2016, which is more than a 250% increase over previous years. New Hampshire historically has had one of the lowest rates of gonorrhea infection in the country, however over the last year the state has seen a significant increase in reported cases according to the state epidemiologist Dr. Benjamin Chan. According to the Centers for Disease Control and Prevention, gonorrhea is the second most commonly reported STD in the united states. Between 2007 and 2013, there were on average 130 cases of gonorrhea reported in the state. If you have questions about gonorrhea please contact your healthcare provider or visit the Department of Health and Human services website – dhhs.nh.gov.